Gary Mentanko is a Dublin, Ireland based sound artist working in hacked and handmade electronics. Born in the late 70’s in rural Saskatchewan, Canada, his project Depatterning attempts to recall the haze of a rural childhood through electronic interludes, rhythmic decay and the sound of farm equipment. Through exhaustive sound collecting and audio manipulation his goal is to catalogue a sort of “culture of lost Canada” and present it in ways nearly remembered. This is balanced with an examination on the effect modern civilization has had on rural life in the 20th century, artistically portrayed in strangled noises and blank spaces of sound. With Preserves, a selection of video works from the recently digitized archive of Video Verite and PAVED Arts serve as leaping-off points for audio artist Gary Mentanko as he engages in a collaborative intermedia dialogue, remixing and reinterpreting audio from the films. Opening up the archive in this way moves the works included therein out of the realm of museological stasis and inaccessibility into an expanded and active field of creative potential. Co-curated by Erin Griffin and Tod Emel, Preserves takes up a discourse around the mutability inherent to memory, history as encounter, and the effects (or affects) of creative mediation. Video works by past PAVED/Video Verite members Shona Dietz, Shawn Fulton, Clark Nikolai, and Susan Shantz will be screened at the Roxy Theatre as Mentanko presents a live audio performance he has developed in response to the films. Music for 12 Lamps is an installation and performance work for 12 sound and light emitting lamps. Each lamp is discreetly outfitted with a surface transducer speaker, turning the lamps into both light and sound emitters. As a result, each lamp possesses its own voice and sonic character through the interaction between surface transducers and the materials and constitution of each lamp. 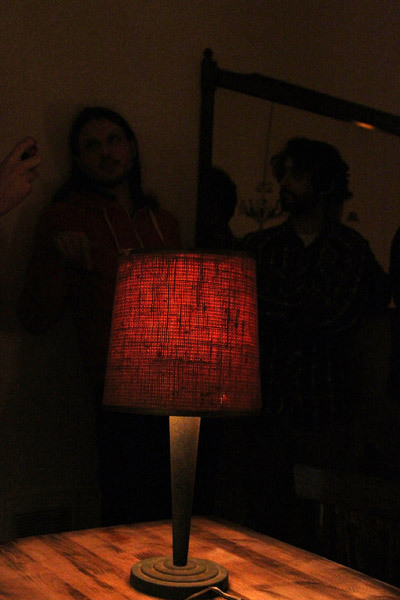 Each lamp may behave as an individual, or as part of a larger ensemble, manifesting various behaviors in light and sound. 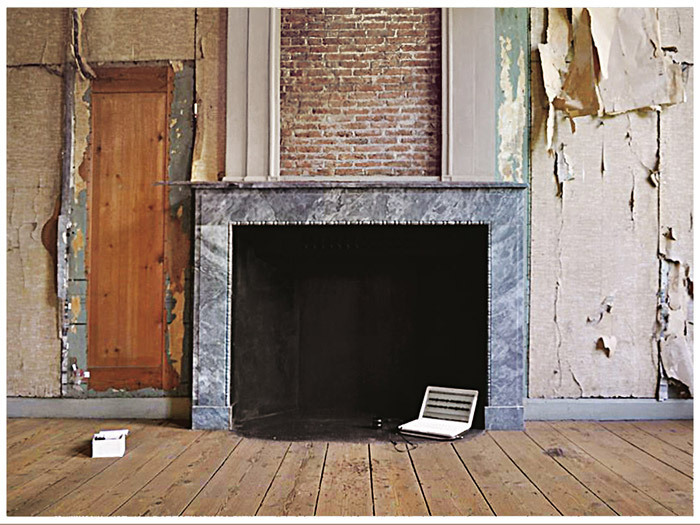 By pulling apart aspects of their everyday performance and re-combining them in a novel manner using digital technology, this work investigates the potential of domestic objects to recall their quotidian functions and – through aesthetic transformation – transcend them. When visiting a classical concert, before the start of each performance the orchestra players ensure that they are in tune with each other. When this is determined the exact same note (A) is played from every instrument, creating a clear harmonic tone, in perfect unison. This is the starting point for the Stay Tuned project. Zuydervelt fantasized about a dream orchestra composed of entirely his favourite artists. For the project Stay Tuned, Zuydervelt asked various artists of different instruments and styles to record an “A” note. Zuydervelt will use the spacial environment and diverse recordings to create a virtual orchestra in which the audience may move freely. is an artist, curator and writer. 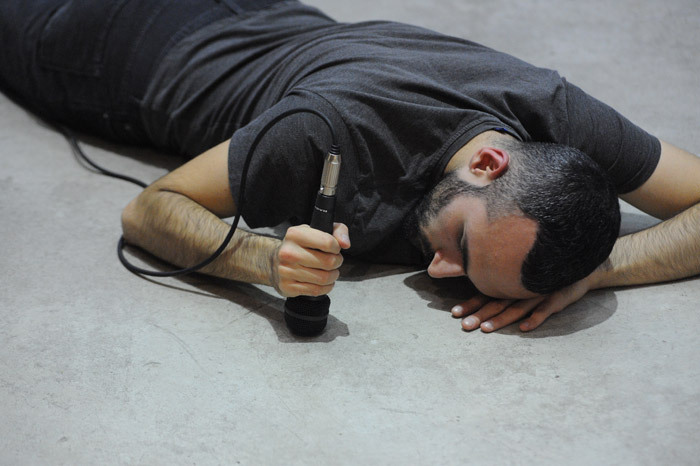 Hit (duo) features two volunteer participants who lie face down on the ground where they proceed to pound a surface with microphones for an extended period of time. This piece is an offshoot of Hit Parade and this will be its first presentation. Christof Migone’s work and research delves into language, voice, bodies, performance, intimacy, complicity, endurance. He obtained an MFA from NSCAD in 1996 and a PhD from the Department of Performance Studies at the Tisch School of the Arts of New York University in 2007. He has released seven solo audio cds on various labels (Avatar, ND, Alien 8, Locust, Oral). His installations have been exhibited at the Banff Center, Rotterdam Film Festival, Gallery 101, Art Lab, eyelevelgallery, Forest City Gallery, Studio 5 Beekman, Mercer Union, CCS Bard, Optica. He currently lives in Toronto and is a Lecturer in the Department of Visual Studies at the University of Toronto Mississauga and the Director/Curator of the Blackwood Gallery. The Floating World is a short film by Ian Campbell. All of the visual elements of this improvised performance are derived from the original film; reordered, remixed, filtered and “played” in real time. All of the audio elements of the performance are improvised live by Ernie Dulanowsky using a variety of techniques including analog synthesis. Our goal is to create a live cinematic collaboration that allows space for give and take between sound and image. Joynes is an award-winning sound and visual artist that has been active in the international electronic and experimental music performance community for years. He has more recently embarked on a broader artistic exploration using his analog synthesizers and custom made machines to create “visual-sound” as photograph/drawing/sculpture hybrids along with immersive and unending installation environments. His latest live cinema work Peregrination was recently included in the 2013 Alberta Biennial of Contemporary Art. 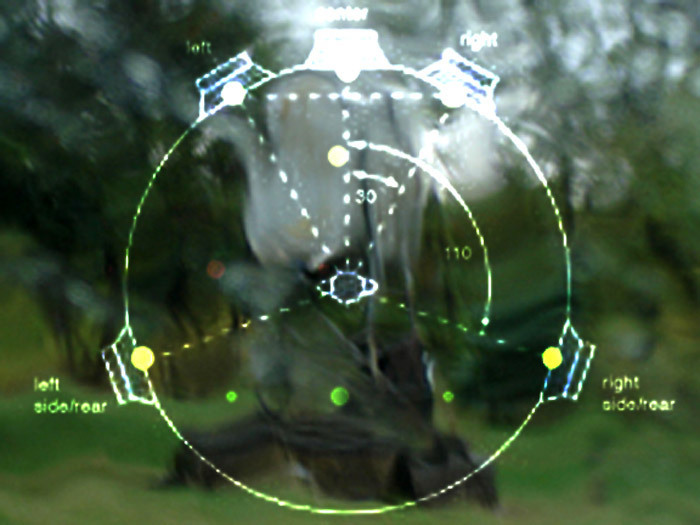 The most recent chapter in Joynes’ visual catalog presented a solo exhibition entitled Topographic Sound at Edmonton’s dc3 Art Projects in early 2013 and featured his critically acclaimed work Ouroboros which had its world premiere at Toronto’s Koffler Centre of the Arts in September 2011. Recent performances include the Art Gallery of Alberta (Edmonton), Koffler Centre (Toronto), Electric Fields (Ottawa), Mountain Computer Music Festival (Montana), Roulette Mixology Festival (New York), Soundasaurus (Calgary), Mutek_10 (Montreal), Banff Centre and the 2008 Leonard Cohen International Festival. Sounds Like is a yearly international audio art festival based in Saskatoon, Saskatchewan. Started in 2011 by aka gallery + artist-run centre, it quickly expanded to a three-fold partnership between PAVED Arts, a Saskatoon artist-run gallery and production centre, and holophon, a non profit organization that seeks to unite communities using sound as an artistic medium. Each organization contributes to the festival with their own particular expertise. AKA artist-run, as Saskatoon’s only non-media specific artist-run, contributes its visual knowledge to think about sound and its uses in art. PAVED Arts, facilitates the exploration of sound through its production to find new ways of making sound. 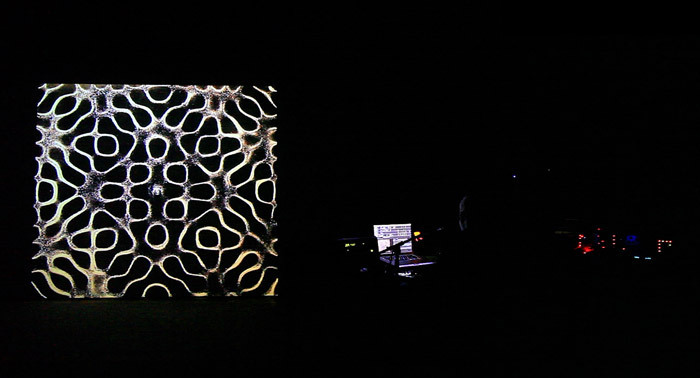 holophon, with their experience in audio art curation and educational programming, helps to connect artists and audiences with the new, innovative works being presented. Together, the organizations program the festival through a combination of invited guests and an international call for submissions. For three days in late July, the galleries focus on events solely focused on the exploration of sound and its uses in art. Events include concert performances, audio sculptures and installations, workshops, seminars, artist talks, and public interventions. Sounds Like presents, promotes, and cultivates experimental practices in audio-based work and the expanded use of audio within all manner of artistic endeavour. Through a diversity of programming, Sounds Like introduces new audiences to art, fosters local audio art practices, and provides a forum of exchange for national and international artists engaged in contemporary audio art practices.